Yannick Hanfmann pulls out of the €43,000 ATP Challenger event. Organizers of the Tennis Open Stadtwerke Meerbusch are looking forward to this coming weekend, as the sixth edition of the ATP Challenger tournament in Meerbusch is going to kick off. After the withdrawal of Germany’s Yannick Hanfmann, the €43,000 clay-court event will be led by World No. 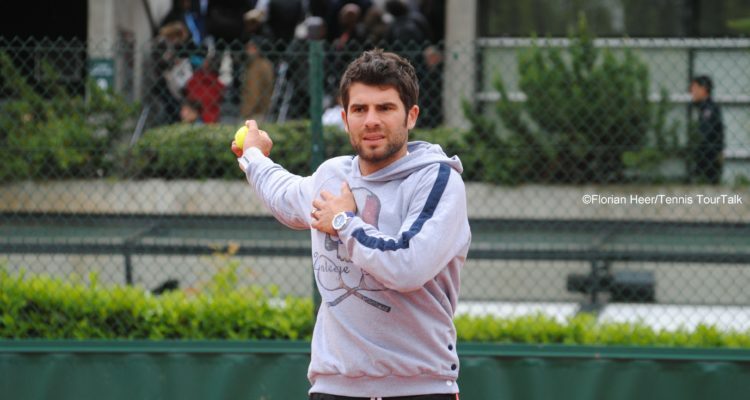 143 Simone Bolelli. The 32-year-old Italian clinched 12 ATP Challenger titles in his career and qualified at the Grand Slams at Roland Garros and Wimbledon earlier this season. Bolelli will be joined by fellow top 200 players Pedro Sousa of Portugal, who advanced to the semis at the Isar Open, Spaniard Sergio Gutierrez-Ferrol and Alexey Vatutin from Russia. Dustin Brown, Rudolf Molleker and Jan Choinski will represent the local favourites in the main draw. Benjamin Hassan was awarded a wild card. “Everything is going according to plan, I’m very satisfied,” organizer and tournament director Marc Raffel said about the ongoing preparations. Visitors of the tournament can also expect a couple of side-events taking place throughout the week. For more information, please visit the tournament’s official homepage. This entry was posted in ATP Challenger Meerbusch, ATP Challenger Tour and tagged ATP Challenger Tour, Meerbusch, Simone Bolelli.